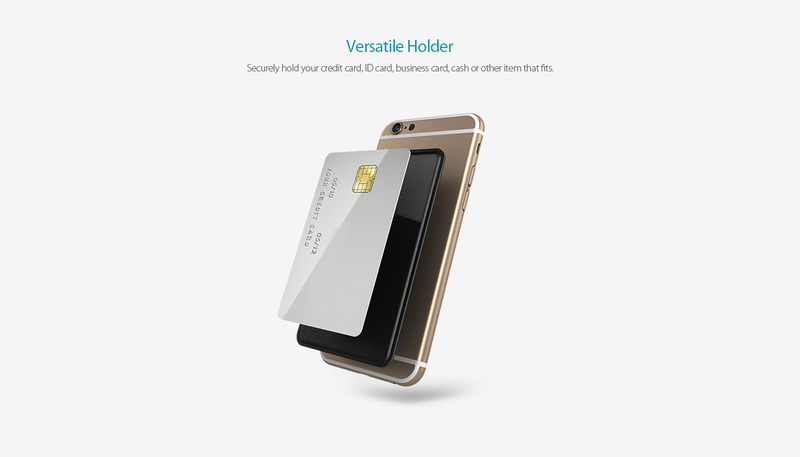 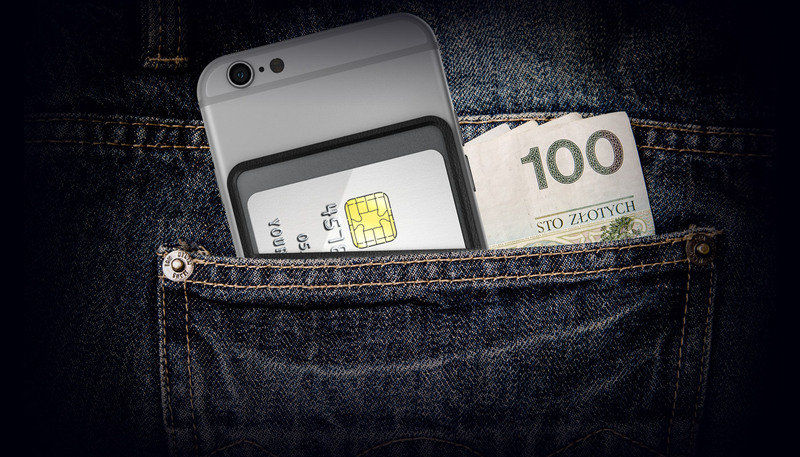 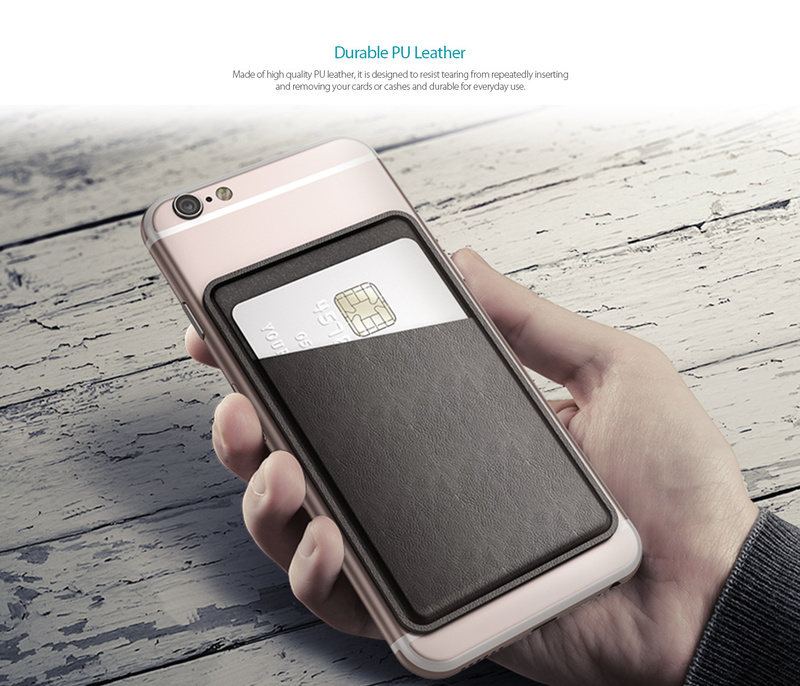 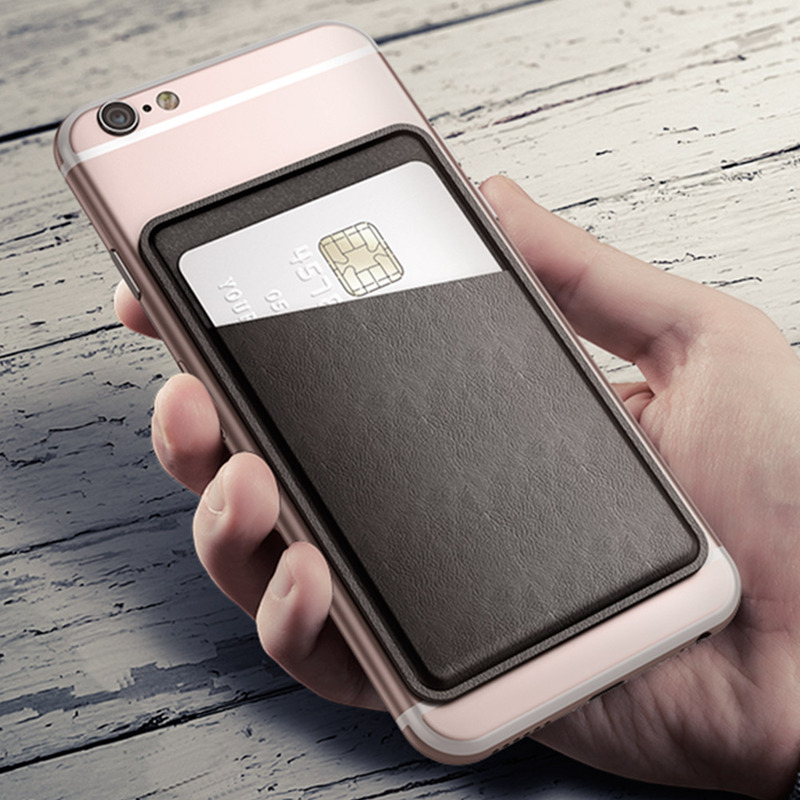 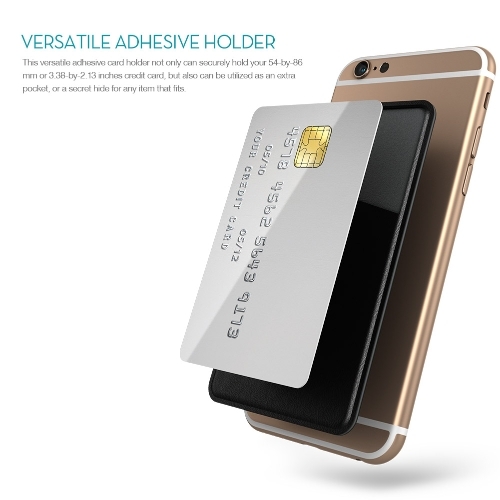 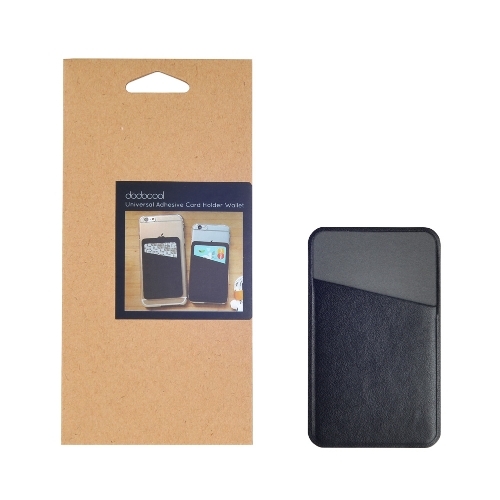 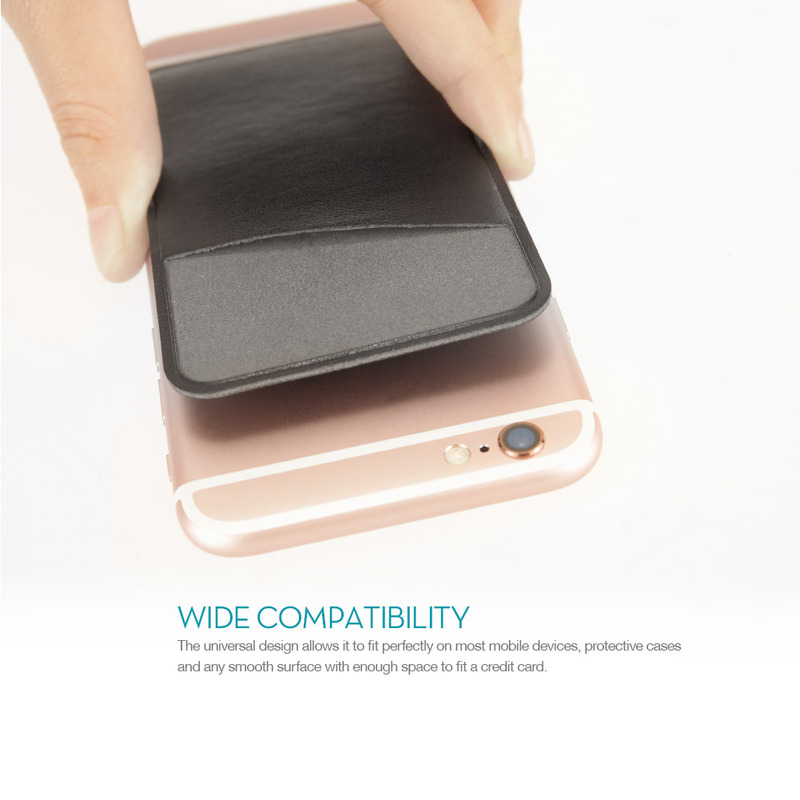 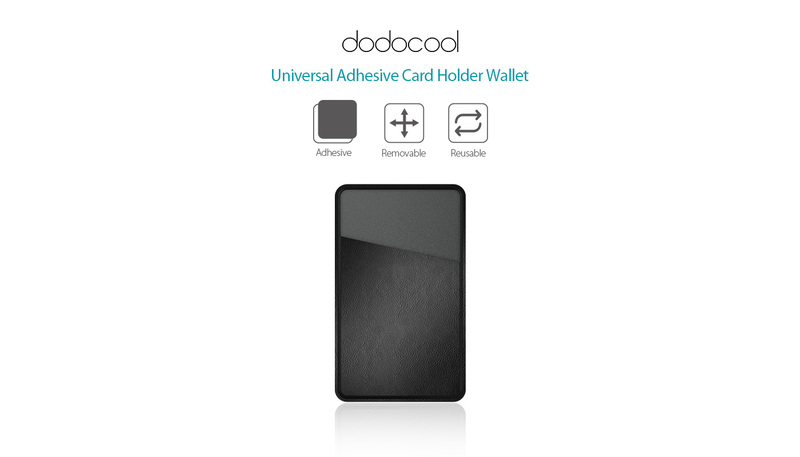 dodocool Universal Adhesive Card Holder Wallet securely holds your business card, ID card, or cash on the back of your smartphone, phone case or any flat surfaces. 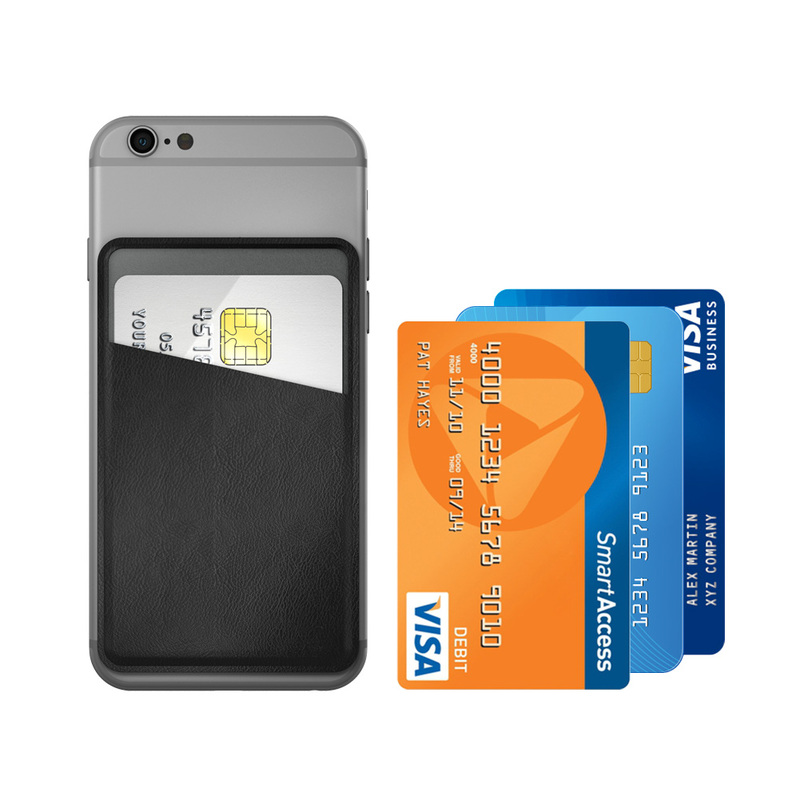 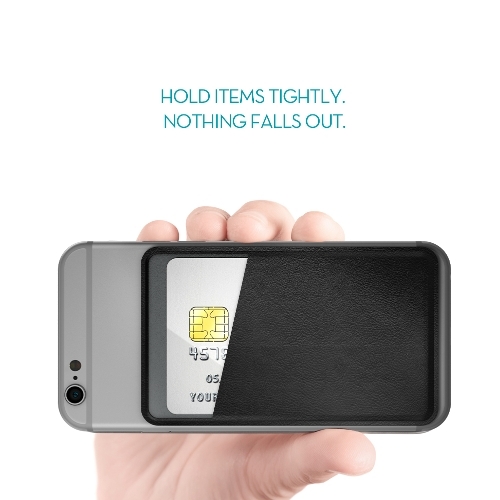 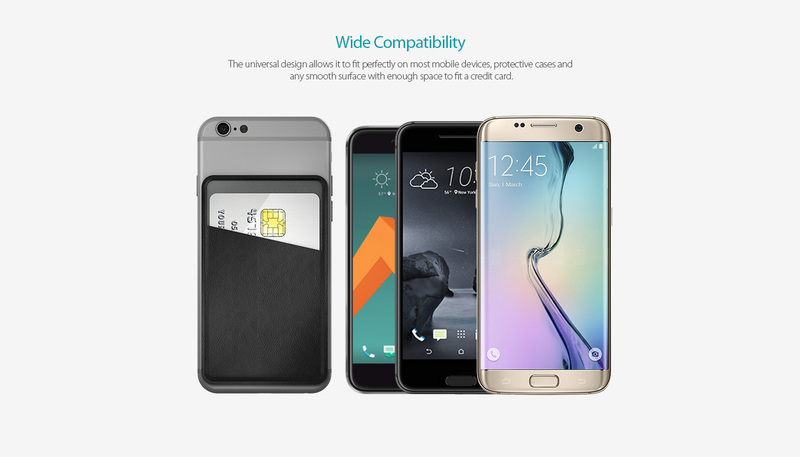 Detachable and reusable features make it work even better than a cell phone wallet case. 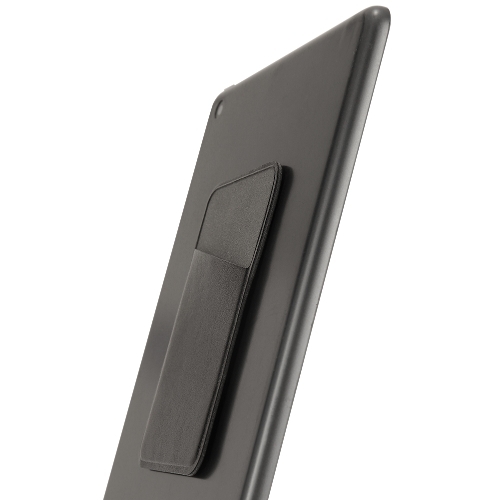 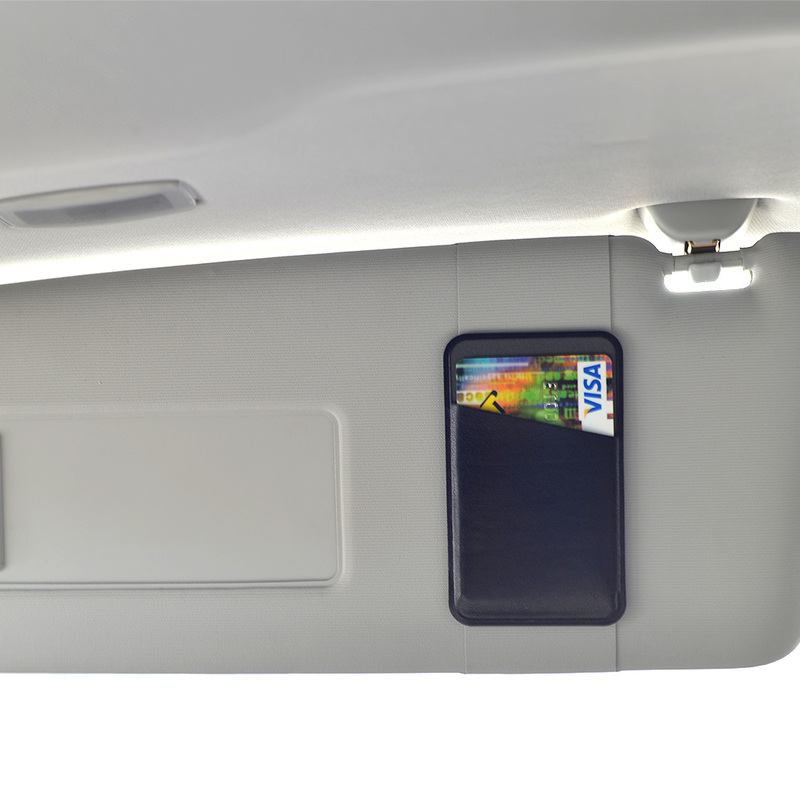 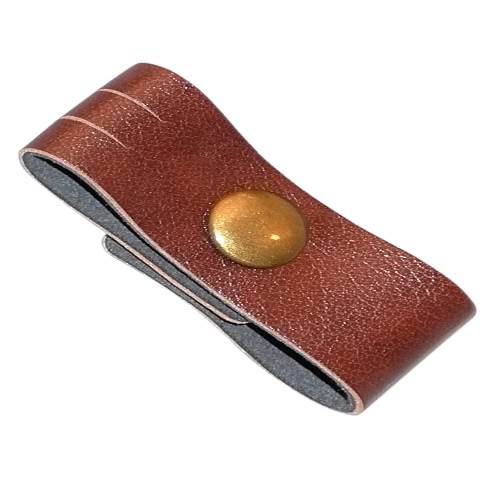 Securely hold your credit card, ID card, business card, cash or other item that fits. 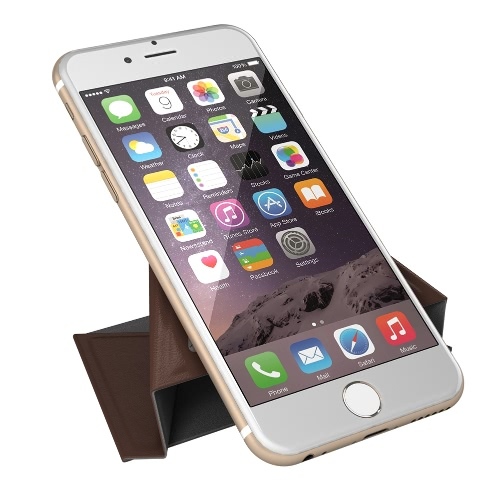 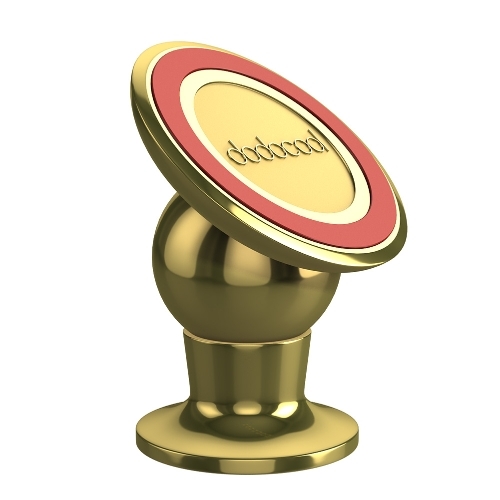 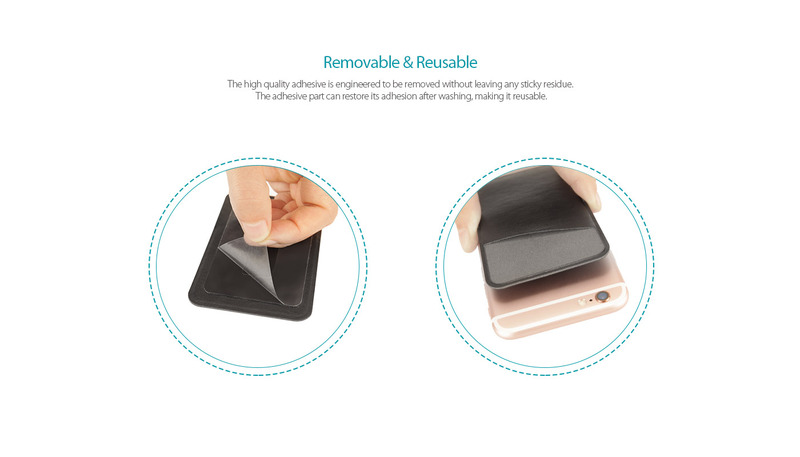 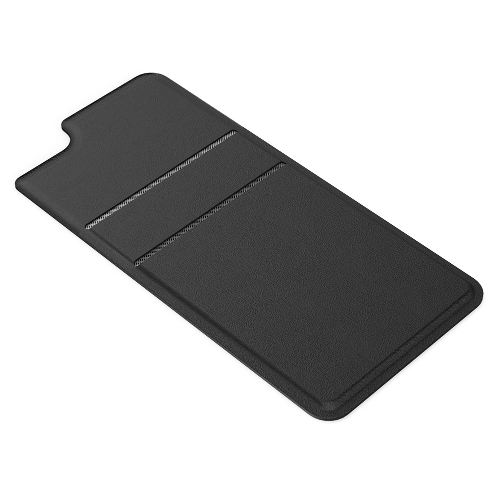 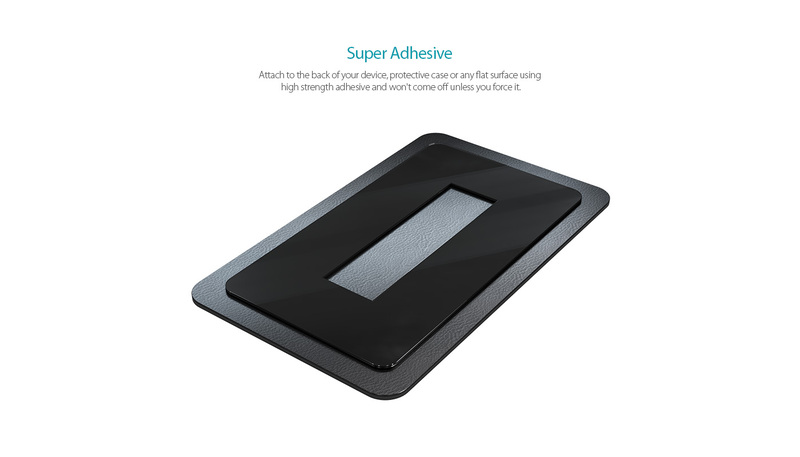 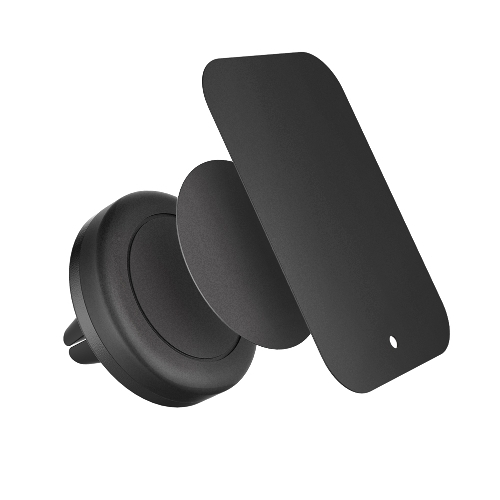 Attach to the back of your device, protective case or any flat surface using high strength adhesive and won't come off unless you force it to. 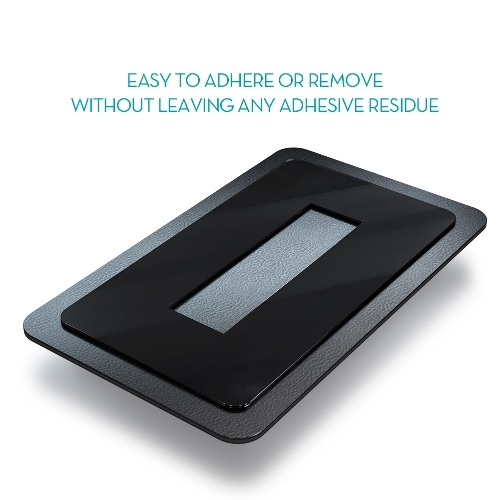 The high quality adhesive is engineered to be removed without leaving any sticky residue. 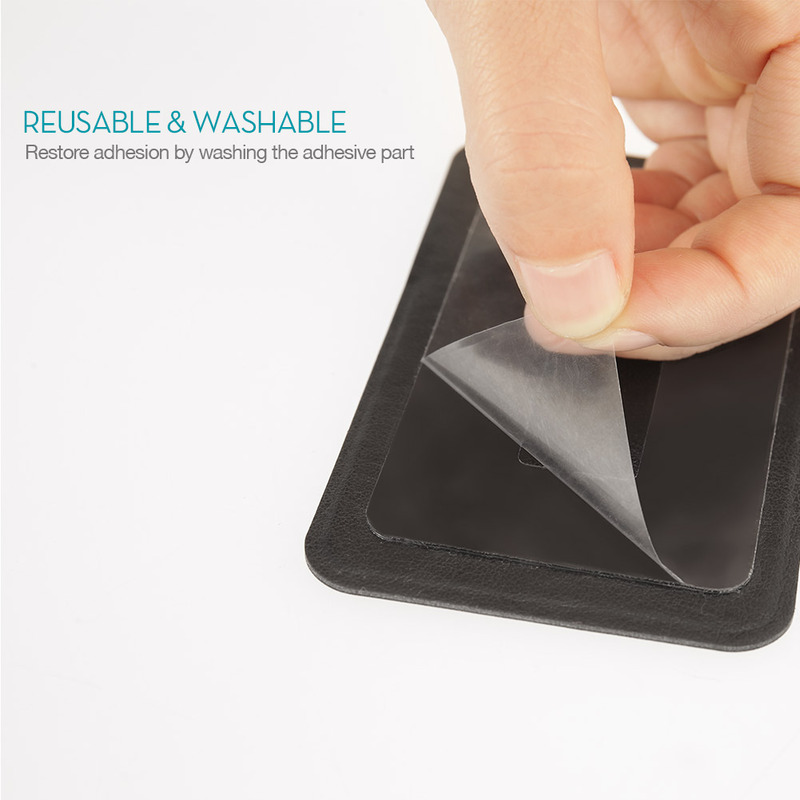 It can restore its adhesion after washing the adhesive part, making it reusable. 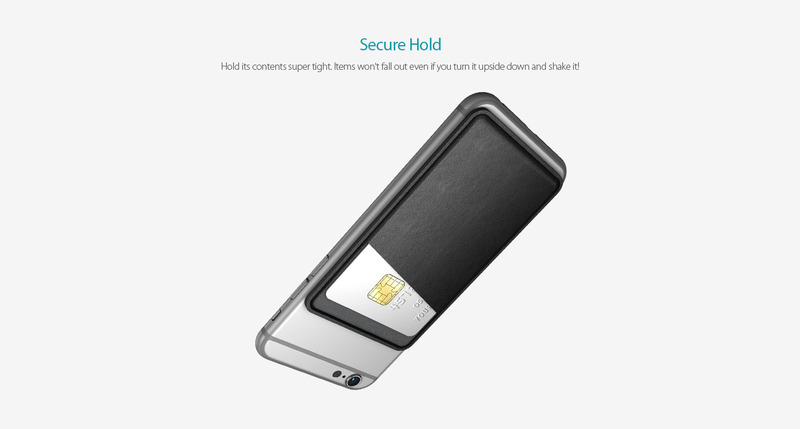 Hold its contents super tight. Items won't fall out even if you turn it upside down and shake it! 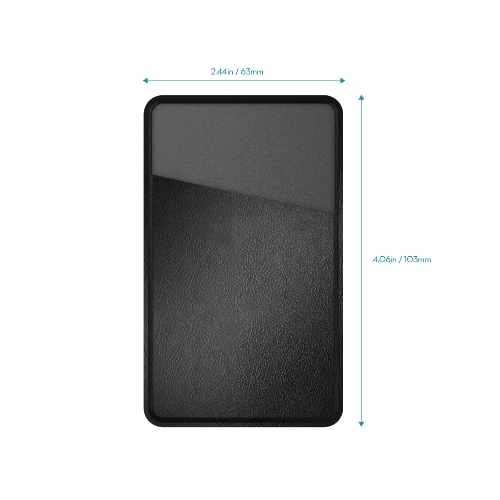 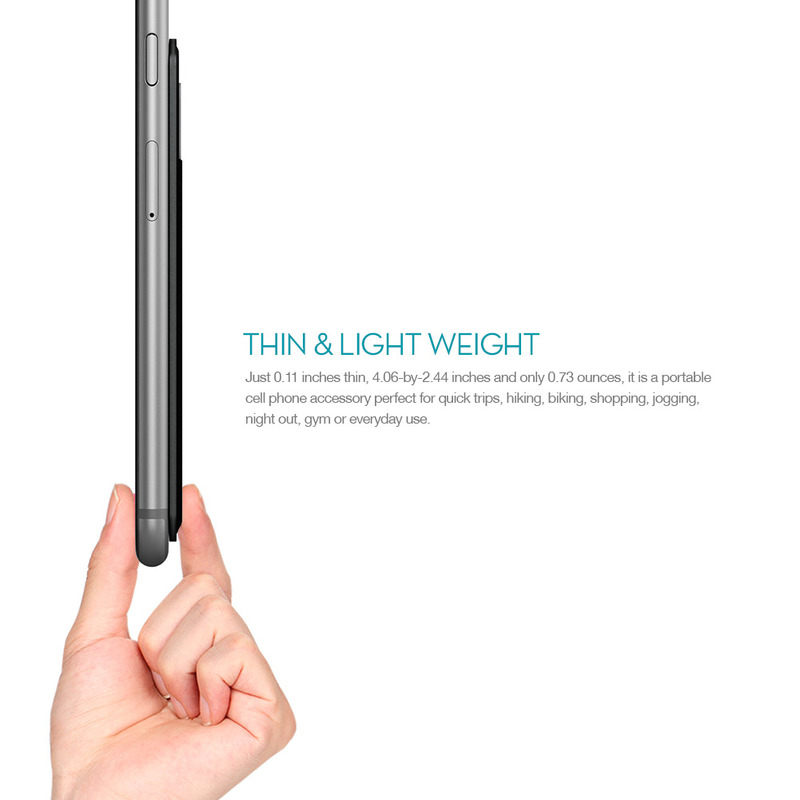 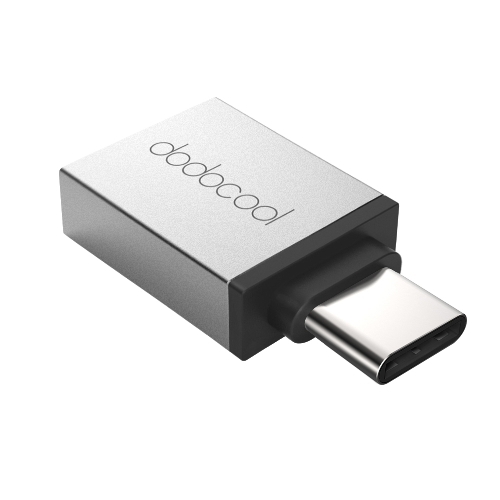 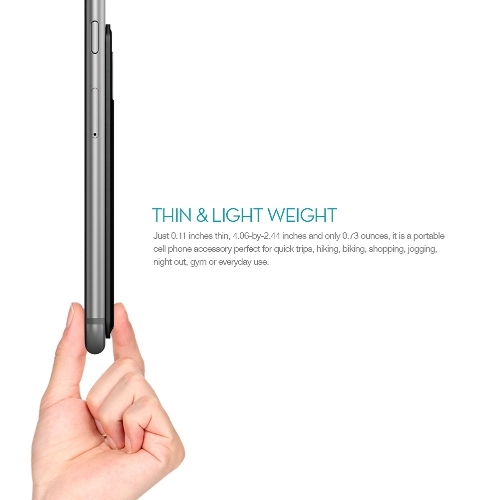 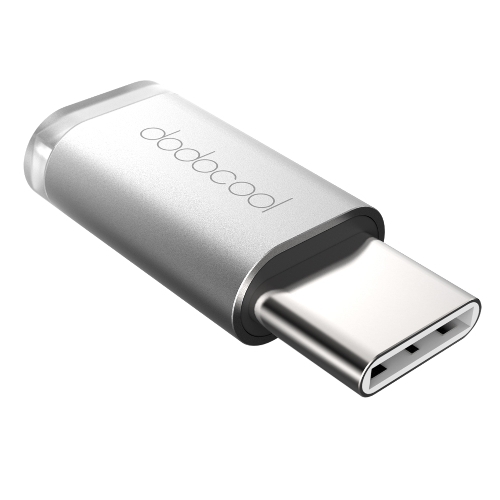 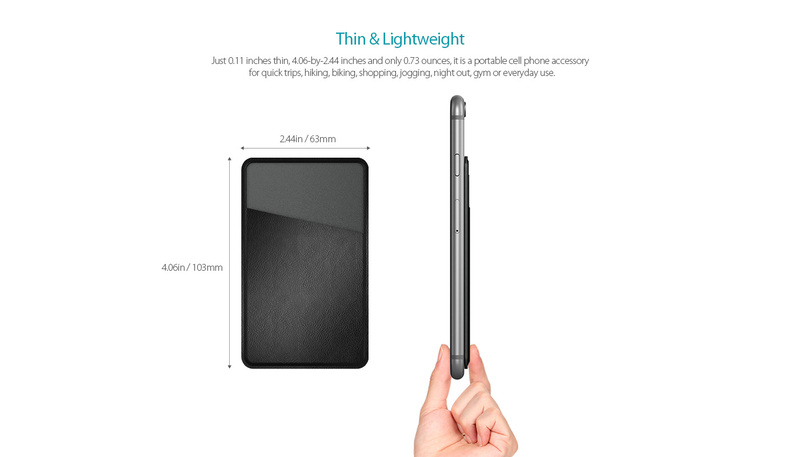 Just 0.11 inches thin, 4.06-by-2.44 inches and only 0.73 ounces, it is a portable cell phone accessory. Perfect for quick trips, hiking, biking, shopping, jogging, night out, gym or everyday use. 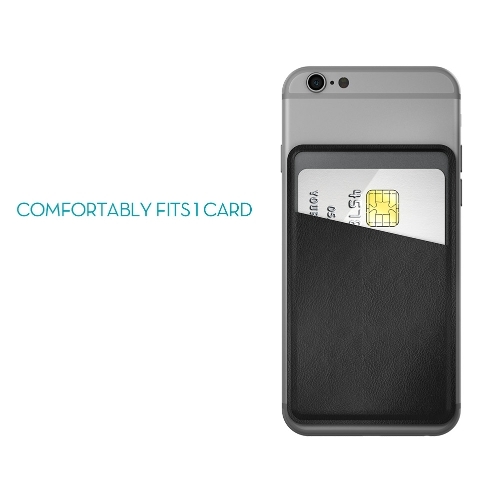 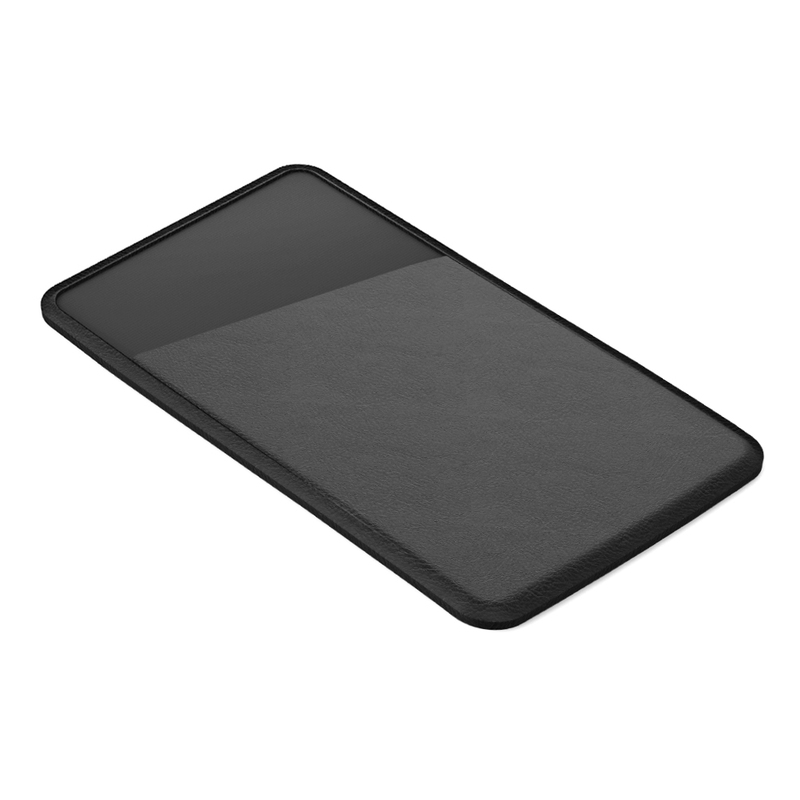 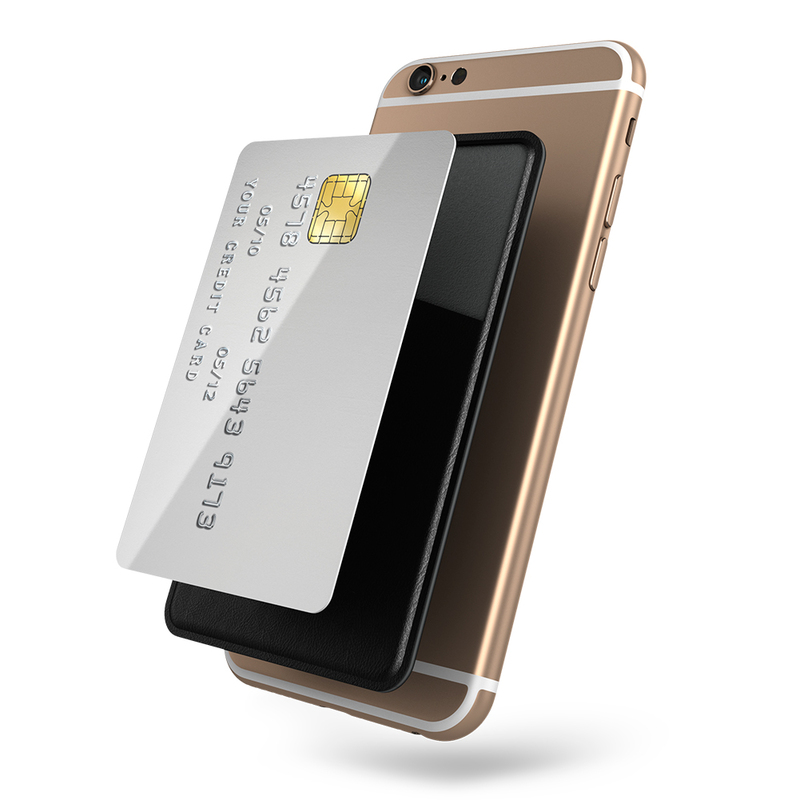 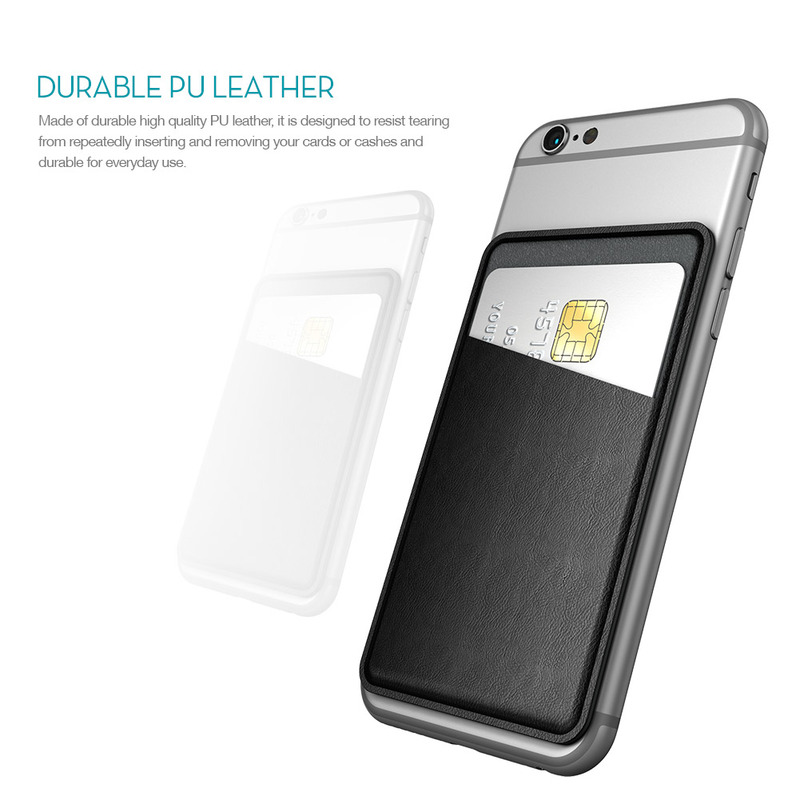 The universal design allows it to fit perfectly on most 4.7-inch or bigger mobile devices, protective cases and any smooth surfaces with enough space to fit a credit card.